Right up until the late 18th century, when the first weighted lines were used to probe the ocean depths, many people believed the seas were bottomless -- the watery equivalent of infinite outer space. Even after scientists and mariners began systematically probing the ocean bottoms, the most profound depths remained incalculable, the stuff of dreams and nightmares. Today, we know that the idea of a bottomless sea is absurd. An eighth-grader with a globe can pinpoint the most profound depth, a seven-mile-deep abyss in the western Pacific known as the Mariana Trench. Three people have actually traveled to the bottom of the trench aboard specially designed submersibles. In our quest to define and describe the world, we have crisscrossed the oceans and continents compiling exhaustive knowledge about its life forms and features, and extended our physical reach through technology, which provides us instantaneous and pervasive access to information about seemingly everything. No realm seems beyond our jurisdiction. We can now make cell phone calls from the summit of Mount Everest; our backyards are visible to strangers on Google Earth; and our daily movements are tracked by GPS and surveillance cameras. Yet as the disappearance of Malaysia Airlines flight 370 made clear, knowledge and access to information can be deceptive. After 100 days of relentless searching, involving more than 40 ships and 39 aircraft from 12 countries, we know little more about the missing Boeing 777 than we did on the day it disappeared. The sea, it turns out, isn't ours for the taking. 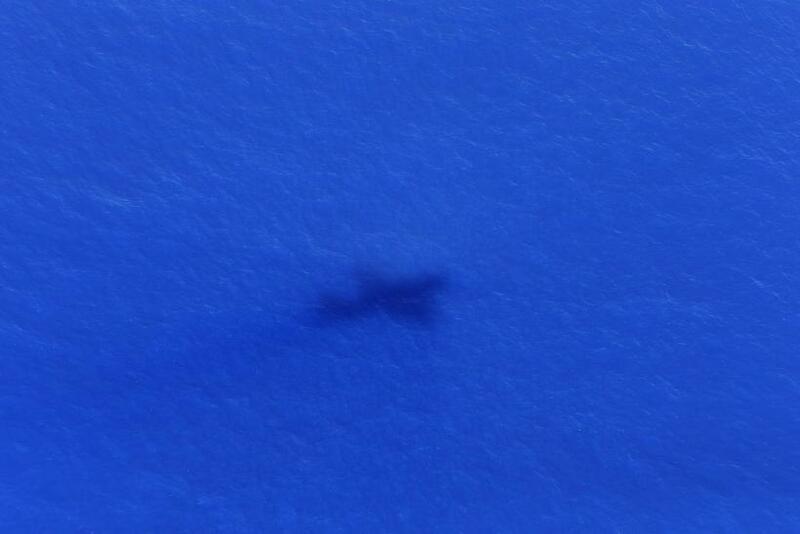 Even if MH370 is eventually found, it has already reordered our views about geography, data and monitoring. Radar, computer tracking, X-rays, satellite imagery, listening apps: All have significant limits. Even the airliner’s black boxes -- our failsafe against such mysteries -- have been of little use; the signals from their locator beacon proved as distressing and cryptic as the underwater calls of whales that sailors once heard while lying in their berths at night. For now, we have no more solid information about what happened to MH370 than we did on the day it disappeared. That’s because our knowledge of the deep oceans remains remarkably limited. In fact, we know more about the surface of the moon. An unsolved mystery of such proportions, which defies our collective knowledge and best technology, is a shock to the system. It's as if our old concept of the unfathomable sea has suddenly been restored, forcing us to re-evaluate what we know and what can be known. How could 239 people disappear without a trace? All we know is that the answer almost certainly lies somewhere beneath the deep blue sea. Though the oceans make up 70 percent of the planet’s surface, only about 5 percent has been mapped, which leaves about 65 percent of the world uncharted and unknown. The ocean is the last frontier of human empirical knowledge; even the contours on that eighth-grader’s globe are the product of a mix of scientific measurement, inference and conjecture. Wide-ranging theories have sprung from MH370’s disappearance, including the possibility of a pilot suicide, mechanical failure, a hijacking by terrorists, or, from the outer fringes, that it was beamed up by aliens. Such unsolved mysteries highlight our lack of knowledge in deeply disturbing ways, tempting us to fabricate plausible explanations or myths to fill the void. Every theory bears an asterisk, indicating a seemingly intrinsic flaw. The most plausible explanation for MH370’s disappearance is that it ran out of fuel and went down in the Indian Ocean, never to be heard from again. Oceanographers, including marine explorer Don Walsh, who in 1960 was part of the first excursion to the Mariana Trench, compare the abiding mystery of the underwater realm with outer space. Due to our limited capabilities and understanding, descending to the bottom is in many ways like traveling blindly through the celestial void. Had MH370 gone down on land, it would certainly be found. Most of the planet’s terrestrial surfaces are visually accessible through video cameras and satellite imagery, if not physically within reach. Even the approaches to Mount Everest are now littered with human debris. One can drive to Timbuktu, which for centuries was synonymous with inaccessibility. Yet even Google’s new app for viewing ocean bottoms is limited by how little is documented there. It's a crucial gap when trying to find a lost plane. The Guardian in March quoted Malaysia’s acting transport minister saying the MH370 search area covered 2.24 million square nautical miles -- large enough to contain almost two billion Boeing 777s, encompassing about 1.5 percent of the world. Those who predict that the ocean will ultimately give up MH370 point to two famous and ultimately successful deepwater searches, for the location of the wreckage of the Titanic, which sank in 12,500 feet in the North Atlantic and was found decades later, and Air France flight 447, which disappeared en route from Rio to Paris in 2009 and was located at 13,100 feet, two years after its first floating pieces were identified. But the search for MH370, which is expected to cost hundreds of millions of dollars, is complicated by the lack of information about its flight path and presumed crash site, which means a closer corollary would be the search for Amelia Earhart’s plane, still fruitless after 77 years. As evidence of our inability to endure such long-term confusion, the International Group for Historic Aircraft Recovery this month announced a new search for Earhart’s plane in the waters off the Pacific island republic of Kiribati. Among the further complications are that the oceans’ surfaces are largely opaque and their depths darker than outer space, which at least is riddled with stars. Underwater sound is also more muted and confounding. A supposed recording of a jetliner striking the water could also be a tremor in the Earth’s crust or a call from a marine mammal hundreds of miles away. Then there's the sheer depth, which is measured through sonar, a localized and limited approach. As the National Geographic documentary “Drain the Ocean” points out, the only way to map the ocean bottom would be to crisscross every foot of it, back and forth, taking sonar readings. Through computer animation, “Drain the Ocean” illustrates what the ocean bottoms would look like if the water were drained away: miles of flaming rifts, weird pinnacles and gaping chasms that make the Grand Canyon look like a gully. But that information, too, is based on composites of scattered sonar readings, inferences gleaned from satellite-mounted radar altimeters and 3D computer modeling. 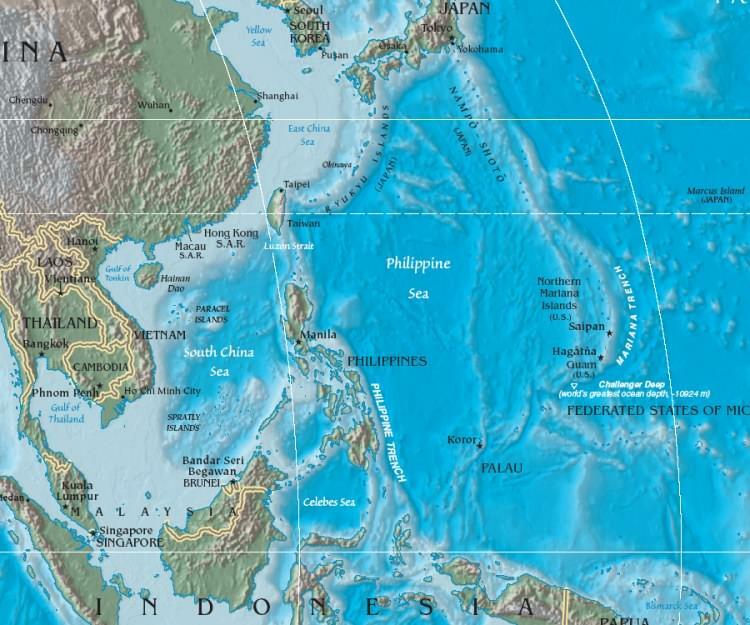 The relevant part of the Indian Ocean -- assuming that's where MH370 went down -- is a little less than half as deep as the Mariana Trench, about three miles at its deepest point. As if that weren’t daunting enough, no one knows which three miles we’re talking about, which would be a prerequisite for determining where best to dive or send underwater drones. Amid all the speculation, theorizing and rumor-mongering about MH370 have come reports that the pilots at one point ascended to 44,000 feet in altitude, which, if true, would mean that by the time the jetliner came to rest on the bottom it would have traveled within a vertical space of about 12 miles, and that vertical space isn't fixed -- it could be anywhere across a horizontal area the size of Australia. Like the trajectory of a stone thrown into a broad pond, there are an infinite number of possible descents and points of entry. Surface water makes up two-thirds of the planet’s 29,100-mile circumference, yet its total volume is exponentially larger -- about 320 million cubic miles, according to the nonprofit research facility Woods Hole Oceanographic Institute in Woods Hole, Massachusetts. The reason is simple: Water is three-dimensional; its surface area is magnified by its depth. The challenge to finding anything that vanishes into such an abyss is compounded by physics: The farther we probe, the colder it gets (just above freezing at the bottom of the Mariana Trench), the more pressure comes to bear (more than 1,000 times that of the surface) and the less sensory data we receive. For most humans, the combination of cold, isolation, lack of oxygen, crushing pressure and utter darkness is the stuff of claustrophobic nightmares. For searchers, it represents a different kind of nightmare -- a logistical one. Still, in the give and take between the known and the unknown, most experts put their faith in technology and predict the Malaysian airliner will eventually be found. Technology enabled the discovery of the Titanic and Air France 447, and made it possible for Walsh and the late Jacques Piccard to accomplish that first five-hour descent into the Mariana Trench aboard a specially constructed bathyscaphe known as the Trieste. But for now, technology has fallen short. On June 4, IBTimes UK quoted the Australian Transport Safety Bureau predicting that MH370 would be found within 60 miles of an arc transposed upon the Indian Ocean using available data, where the aircraft is believed to have exhausted its fuel and crashed. But the bureau’s statement acknowledged that the arc encompassed a huge swath of the ocean, and that it was the second arc transcribed to indicate a possible crash zone. All of which means that we have some idea of the size of the MH370 mystery, but not much more, which is cold comfort for the searchers and the loved ones of those aboard. For all practical purposes, the airliner may as well be a phantom white whale, or a ship that sailed off the edge of the Earth. Stunned by the mere mention of the legendary beast, the other captain drops his speaking-trumpet into the sea. After observing this, the novel’s narrator, Ishmael, mulls the futility of Ahab’s chasing “that demon phantom” around the world. Ahab, Ishmael observes, is obsessed with a torment “that, at some time or other, swims before all human hearts -- then while chasing over this round globe after those mysteries -- they either lead us on in barren mazes, or midway leave us whelmed." In 2014, despite our best technology, we are still strangers in the deep, probing uncertainly for clues. We may relish the idea that there remains an unconquered realm on Earth, but for the survivors of those who vanished aboard MH370, the mystery is excruciating. But more than anything, Cameron said, the experience conveyed to him “how tiny you are down in this big, vast, black, unknown and unexplored place."